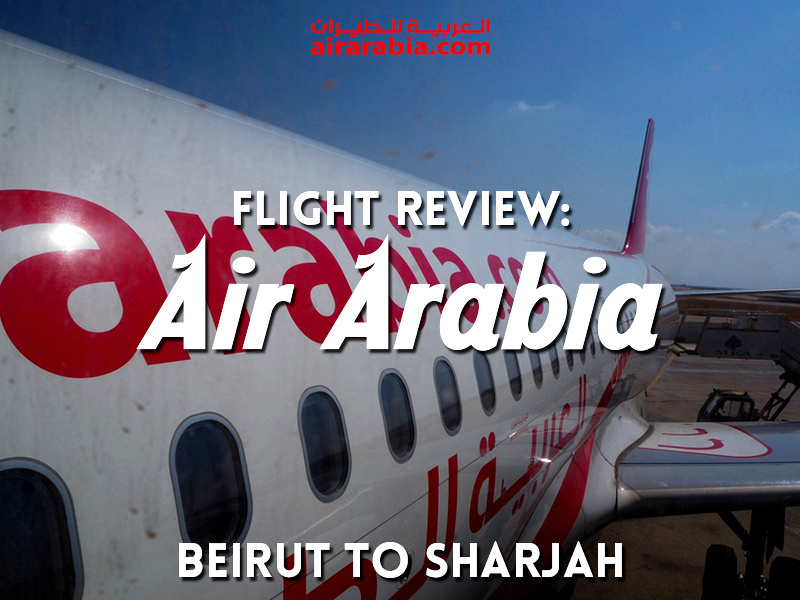 I flew with Air Arabia from Beirut to Sharjah. Originally I was searching for flights to Dubai, and on Skyscanner they also show nearby airports. For this search I had the options of flights to Dubai with Emirates or MEA, flights to the new Dubai airport (DWC Dubai Al Maktoum International) with flydubai, and the Air Arabia option to neighbouring Sharjah. 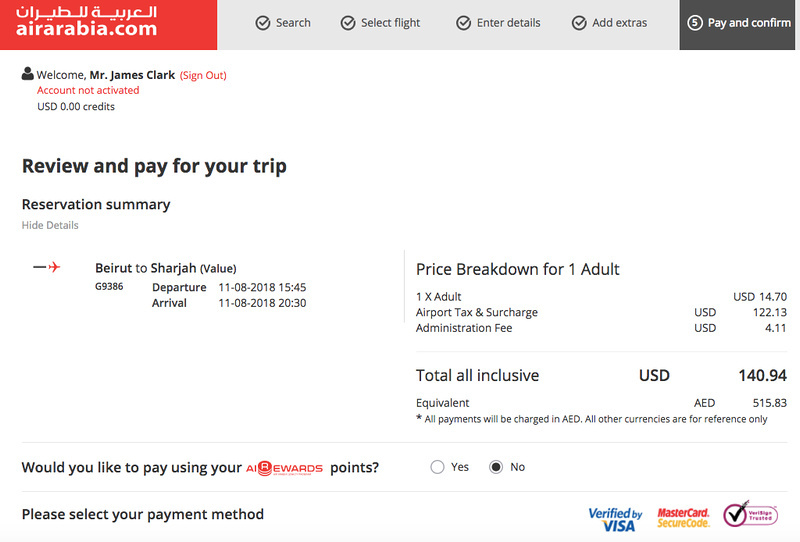 The AirArabia option was the cheapest option, plus I had never been to Sharjah so this was a good opportunity to visit. Sharjah is the emirate next to Dubai, and it’s practically the same city now as the two cities have grown into each other. Air Arabia are the Middle East’s and North Africa’s first and largest low-cost carrier (LCC). 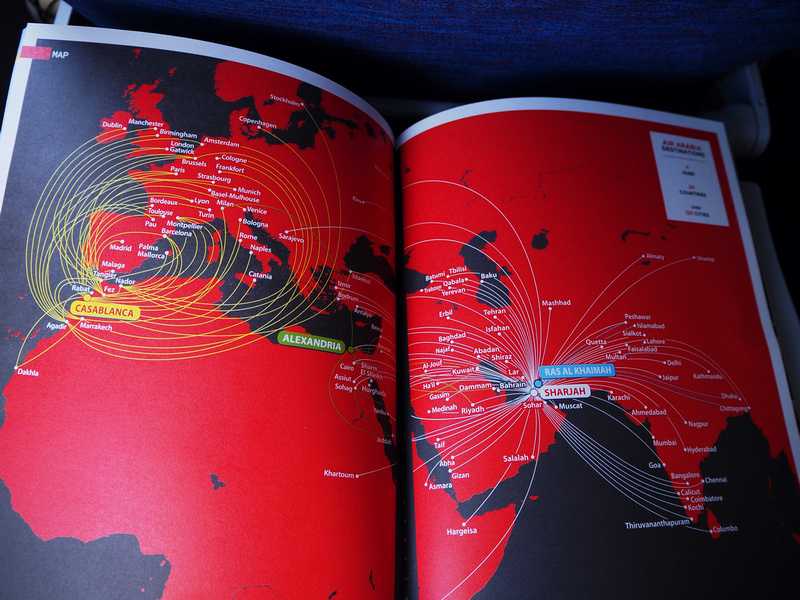 Their business model (and colour scheme) reminds me of Air Asia, which is the largest low cost airline in Asia. There were two flights available, so I took the day flight. 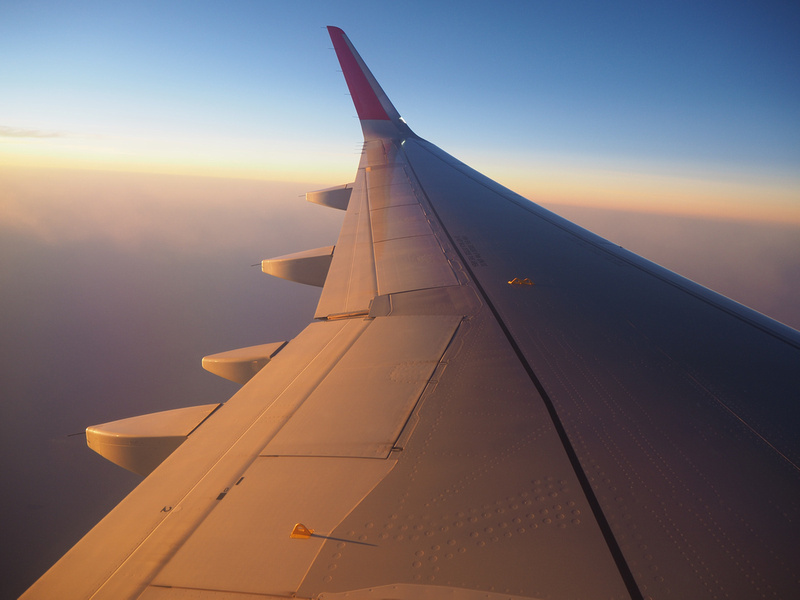 The second flight that arrives at 2.35 would be useful if you are connecting on an early morning flight. The ticket was 515 AED ($140.94 USD), of which $14.70 was the ticket, $122.13 was taxes and surcharge, and $4.11 was an admin fee. 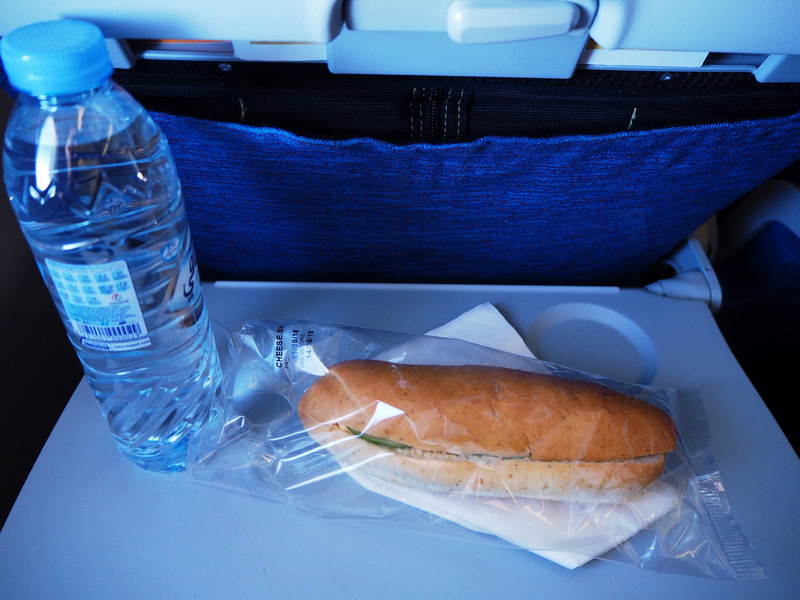 The Value ticket included a 20kg bag and pre-ordered sandwich and water. My rough measuring stick for flight value is that $50 an hour is a good price, while over $100 an hour is overpriced. With a flight time of 3.45 hours, $140 for nearly 4 hours is good value. 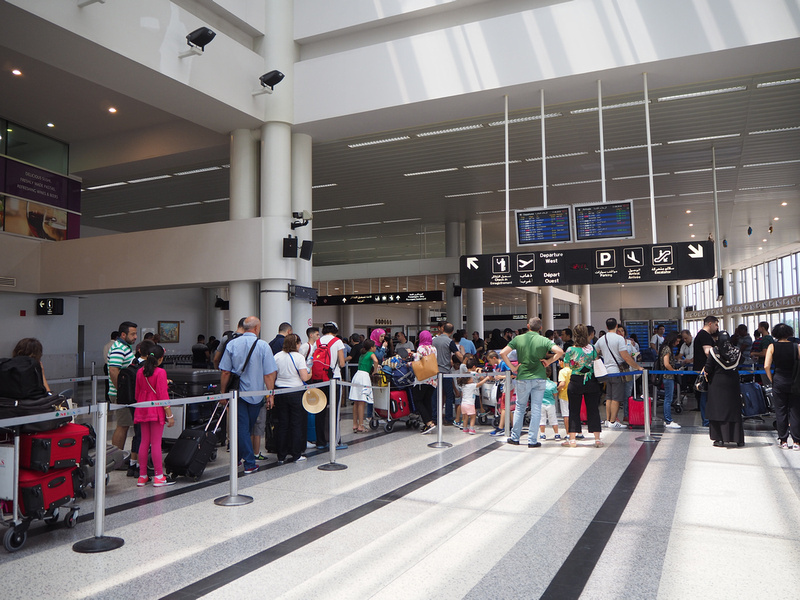 When I was reading up on how to get to Beirut Airport, I read that checking in can take a while due to extra security. Like the city of Beirut, the airport still has a large military presence. At departures the main security clearance is done before you enter the ticketing hall, and that was the longest queue. I checked in at the airport, and once I passed immigration (another long queue) that was about 90 minutes all up. So don’t be going to the airport at the last minute. 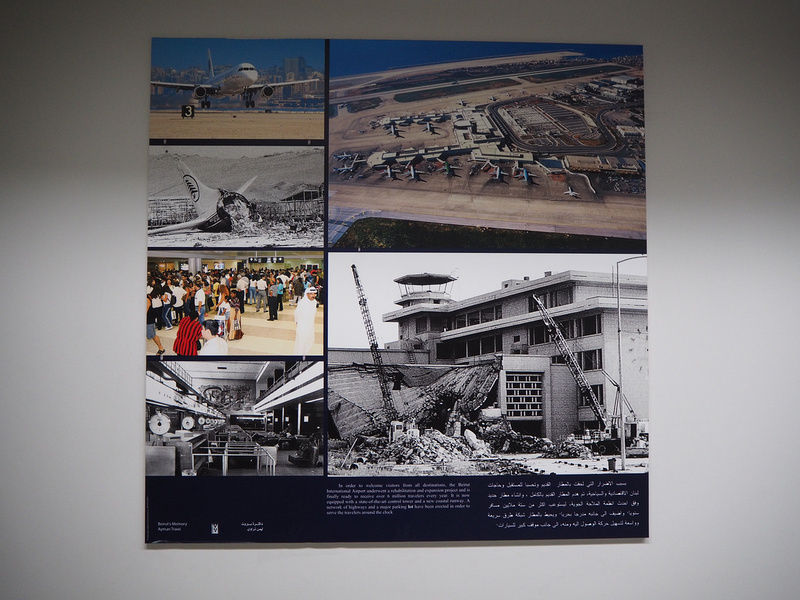 In the departure lounges there are some old photos of Beirut–Rafic Hariri International Airport, with all the troubles it has seen over the years. Even as late as 2006 the airport was bombed. Air Arabia have 52 Airbus A320-200 in their fleet (as of June 2018). The flight departs at 15.45 and arrives at 20.30, for a scheduled flight time of 3H, 45M. 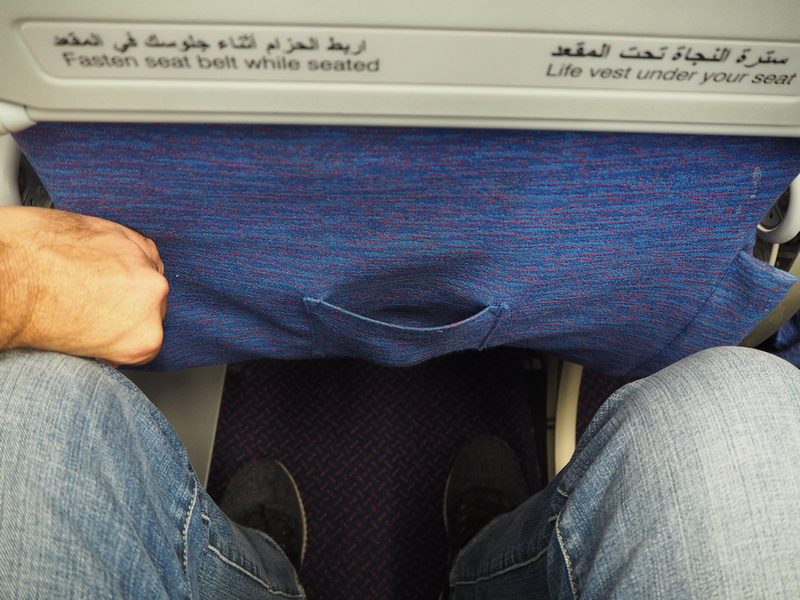 Like my Ryanair flight the month before, it seems that Air Arabia have also adopted no seat-back pockets. There was a little pocket which was barely able to hold a bottle of water. This is an annoying feature as I like to have a my Kindle and laptop with me, without have to rest them on my lap for the whole flight. The legroom wasn’t bad for a low cost airline. I had about a fist of space between my knees and the front seat. 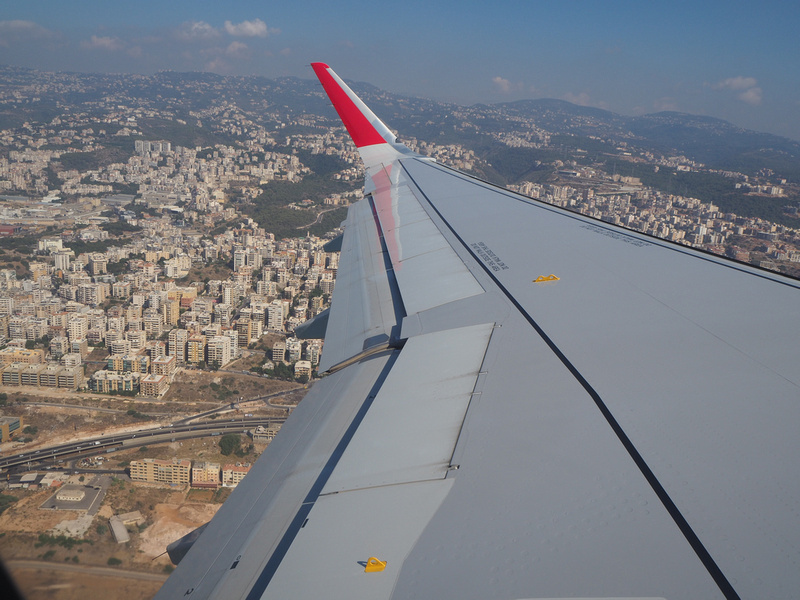 Flying over the suburbs of Beirut. After takeoff the flight turned west over the Mediterranean. Now I’m no geographer (even though I would make a great one) but I knew that Lebanon was to the far east of the Mediterranean, so anything west of that is going back to Europe. Then it occured to me. Ohh. OHH! They can’t fly over Israel as part of a reciprocal banning of airlines. 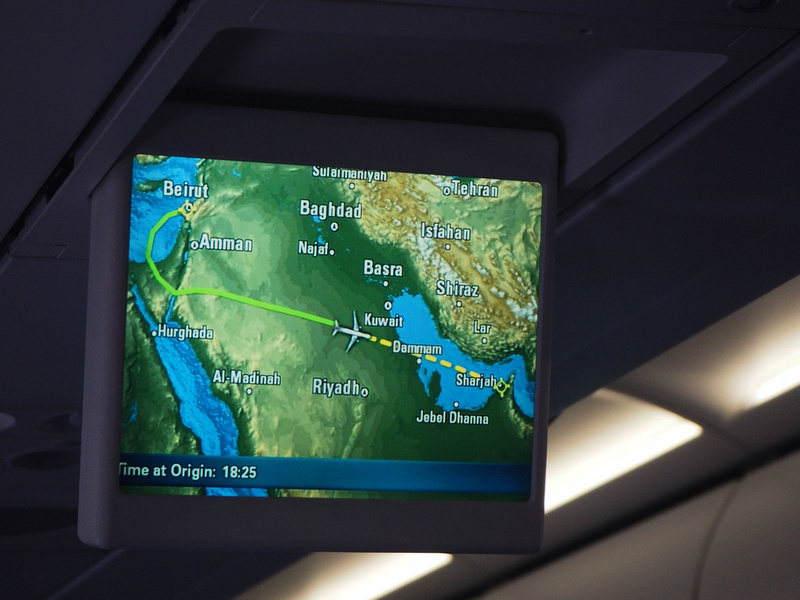 It would be prudent to not fly over Syria either, so our flight was taking a detour. 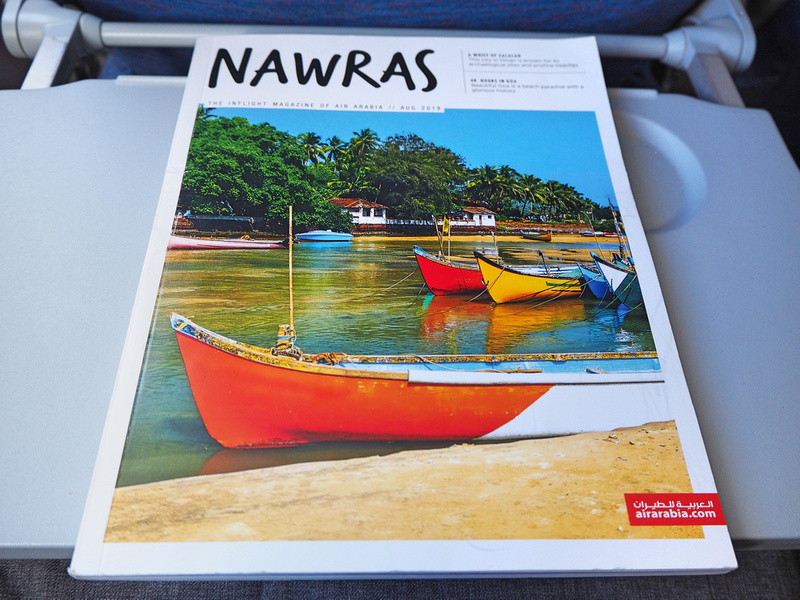 Nawras – the inflight magazine of Air Arabia. 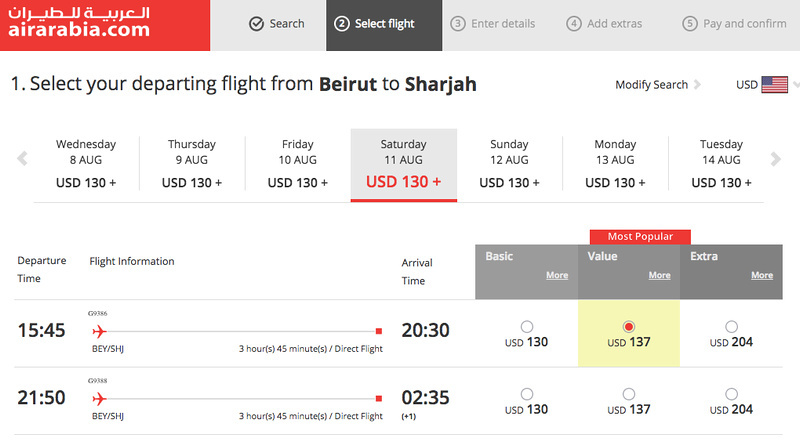 Air Arabia are based out of Sharjah International Airport, where the majority of their flights are served. 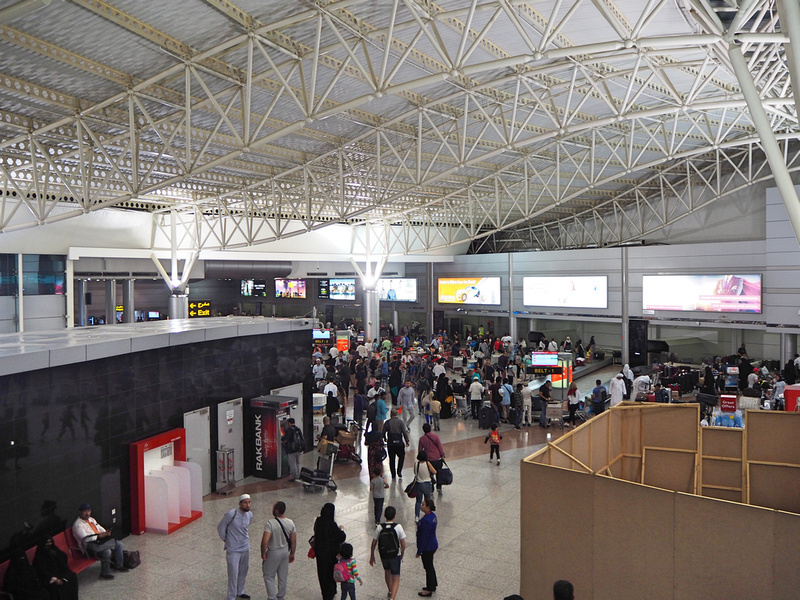 They have since expanded to other bases, operating in Egypt and Morocco. 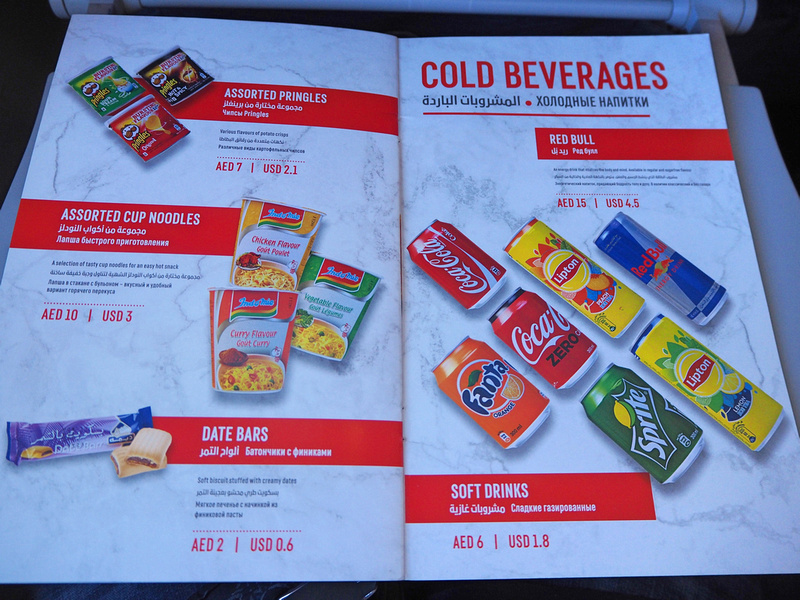 As a low cost airline there is no free meal service. 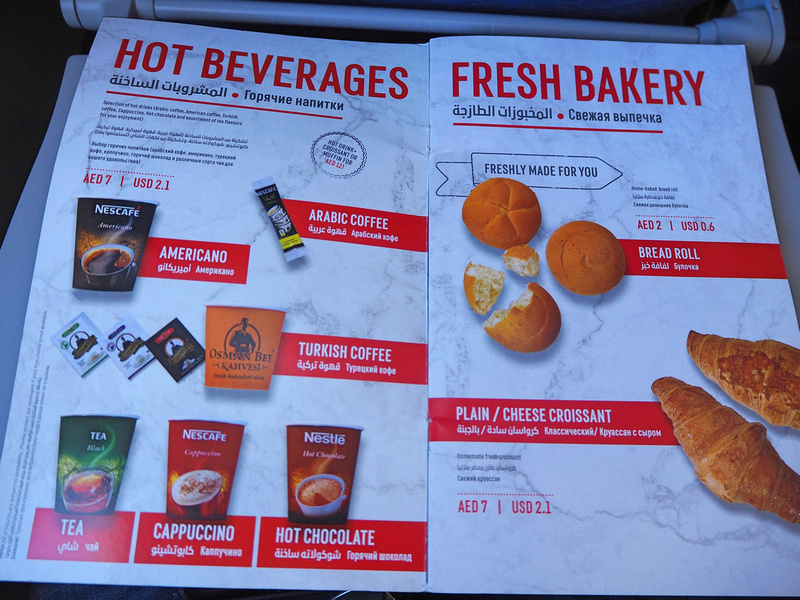 Food and drink can be bought onboard or pre-purchased with the ticket. A coffee is $2.10 USD. Soft drinks are $1.80. And being from the UAE, there is no booze. 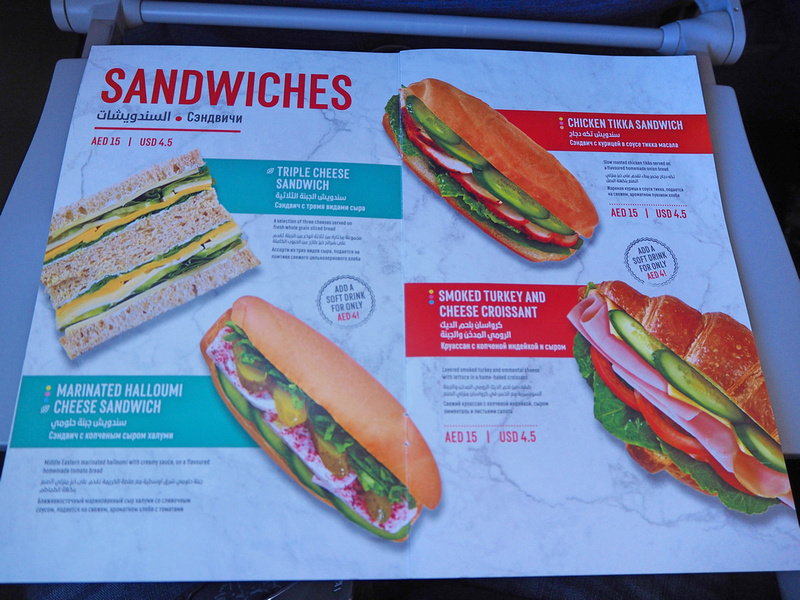 As the flight is nearly 4 hours I pre-ordered a sandwich and drink combo. Flying over the vast emptiness of Saudi Arabia. The flight arrived on time, which was a relief as I was planning to get the public bus to my hotel in central Sharjah. While the aircraft was taxiing about 20 people got up to get their bags. I’ve never seen so many people get up while the plane was clearly nowhere near the terminal. The flight attendants took some effort to get everyone seated. The man opposite me managed to take two hard-case wheelie bags down. One bag was in the aisle while one was in his leg space. 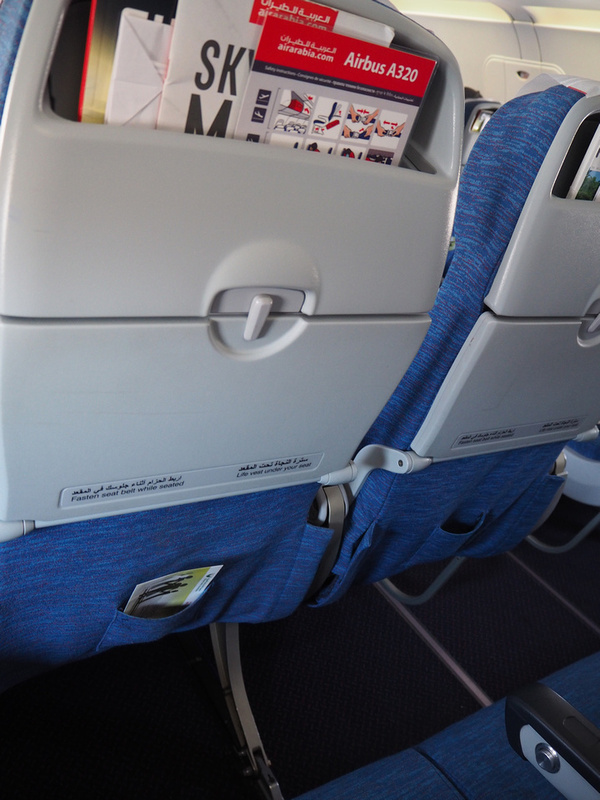 He then sat down awkwardly with his legs hanging over the seat in the aisle. 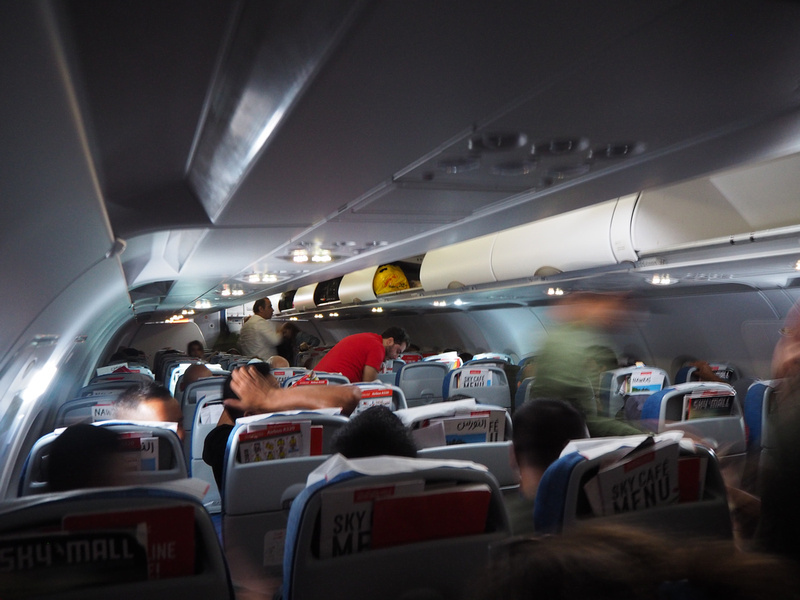 Once the plane stopped and we could get our bags, the bag man had gained no inches in being closer to the exit. I just looked at him and then looked at his bag. Sharjah Airport kind of reminded me of the old low cost carrier terminal in KL (ie a simple, no-frills terminal space). Most of the flights from Sharjah are by Air Arabia, which also reminded me of AirAsia being the major tenant of KL’s low cost terminal. The exterior terminal building though is quite nice. With so many connecting flights from Sharjah, I wondered how many passengers were travelling on, how many were going to Dubai, and how many were staying in Sharjah (like me). There are buses to Dubai, and I got a local bus to the city centre. 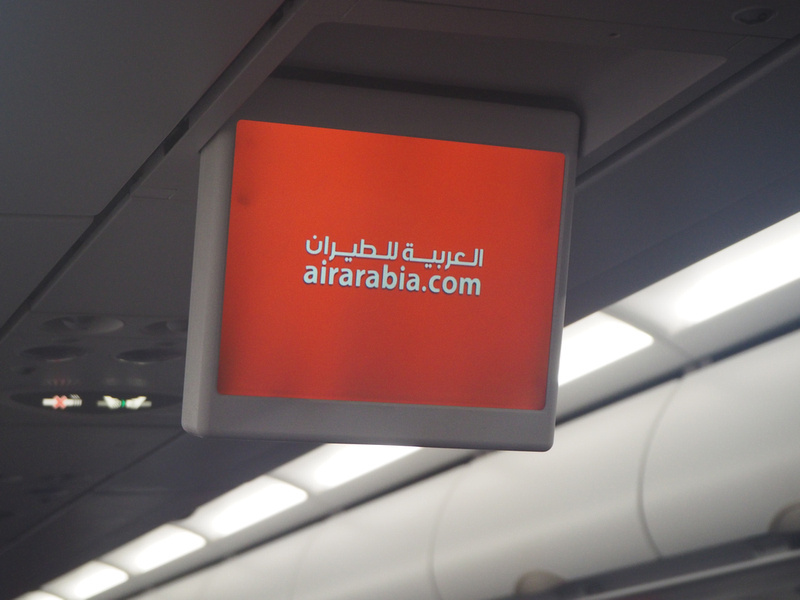 Overall this was a good flight to get me to Dubai, and I would fly Air Arabia again if the opportunity presents itself.